The Technical Art History Colloquium is organised by Sven Dupré (Utrecht University and University of Amsterdam, PI ERC ARTECHNE), Arjan de Koomen (University of Amsterdam, Coordinator MA Technical Art History), Abbie Vandivere (University of Amsterdam, Coordinator MA Technical Art History & Mauritshuis, The Hague, Paintings Conservator), Erma Hermens (University of Amsterdam and Rijksmuseum) and Ann-Sophie Lehmann (University of Groningen). Monthly meetings take place on Thursdays. This edition of the Technical Art History Colloquium will be organised in Amsterdam by Sven Dupré and Erma Hermens. Curator, writer and historian Glenn Adamson (Senior Scholar at the Yale Center for British Art) will give a presentation titled ‘Minding Making: Hands On Learning in the American University’. Admission to the colloquium is free, but in order to ensure that you will be accommodated, please RSVP to j.briggeman@uu.nl by 7 June 2018. One of the most striking developments in the humanities over the past decade has been a ‘material turn’. This cross-disciplinary current, seen in art history, the history of science, museum practice and elsewhere, has challenged previous theoretical models by insisting on the importance of tacit knowledge and craft-specific content. Rather than distinguishing making from thinking, scholars now see the two as inextricable and mutually generative. In this talk, Dr. Glenn Adamson will discuss how these developments are playing out at three leading American universities: Columbia, Yale and Harvard. Each of these institutions has undertaken substantial making-based research and teaching in the past few years, but in varying directions: at Columbia, an emphasis on the recreation of techniques based on archival documents; at Yale, an emphasis on the material intelligence contained in historic crafts; and at Harvard, a thematic investigation of contemporary making, based on the connective concept of the ‘maneuver’. Adamson will survey this intellectual landscape and provide a first hand account of the creation of Minding Making, a new web initiative based at Harvard. Glenn Adamson is a curator, writer and historian who works at the intersection of craft and contemporary art. 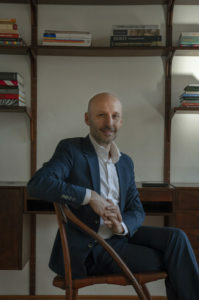 Currently Senior Scholar at the Yale Center for British Art, he has previously been Director of the Museum of Arts and Design; Head of Research at the V&A; and Curator at the Chipstone Foundation in Milwaukee. Adamson’s publications include Art in the Making (2016, co-authored with Julia Bryan-Wilson); Invention of Craft (2013); Postmodernism: Style and Subversion (2011); The Craft Reader (2010); and Thinking Through Craft (2007). Most recently Adamson was the co-curator of Voulkos: The Breakthrough Years at MAD (2016); curator of Beazley Designs of the Year, at the Design Museum in London (2017); and co-curator (with Martina Droth and Simon Olding) of Things of Beauty Growing: British Studio Pottery, at the Yale Center for British Art (2017). His new book Fewer Better Things: The Hidden Wisdom of Objects will be published by Bloomsbury in August 2018.